Trump defense lawyer John Dowd said that following payments by the Republican National Committee (RNC), the president began paying the bills and now wants to make the party "even." 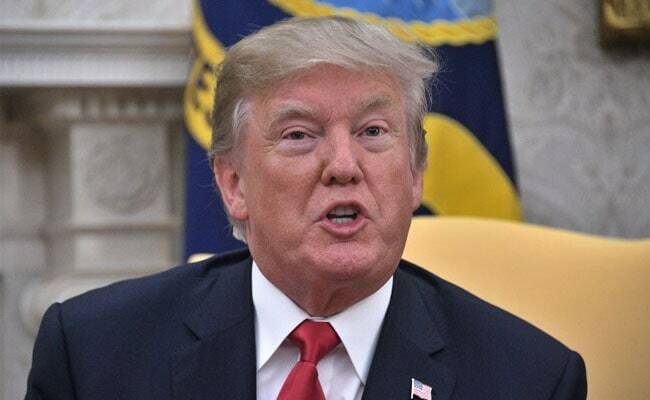 WASHINGTON: President Donald Trump has begun paying his own legal bills related to the Russia investigation and will no longer cover the costs using political donations to his reelection campaign or the Republican Party, his attorneys confirmed on Friday. The expenses cover personal lawyers representing Trump before special prosecutor Robert Mueller's probe of possible collusion between the Trump campaign and Russia in last year's election, and whether Trump may have obstructed justice by firing Federal Bureau of Investigation Director James Comey, among other actions. Moscow has denied meddling in the election, and Trump has denied any collusion or obstruction. The RNC confirmed they are no longer paying Trump's legal bills have not done so since September. The administration is also working with others to establish a fund for current and former staffers, Special White House counsel Ty Cobb said. Dowd said Don McGahn, the White House counsel, and campaign lawyer Ben Ginsberg of Jones Day are working to structure that fund, which would be subject to rules that prohibit staff from receiving gifts or pro bono legal service. He added, "The president is worried about staffers who have good lawyers and they can't afford them." During former President Bill Clinton's administration, private funds were raised to cover his legal expenses related to the Whitewater investigation. Under former President George W. Bush, a legal fund was set up to help former staffer Lewis "Scooter" Libby, only after he had left White House employment. In August, Reuters first reported that the RNC was paying Trump's legal bills, which amounted to more than $230,000 that month. The payments were made to Trump's outside legal team, which includes Dowd and Jay Sekulow. Additionally, Trump's reelection campaign paid more than $300,000 this year in bills to lawyers representing his son Donald Trump Jr., according to public disclosures filed by the campaign. The campaign did not respond to a request for comment whether it will continue to pay for Trump Jr's legal expenses. The U.S. Federal Election Commission allows use of private campaign funds to pay legal bills arising from being a candidate or elected official. While previous presidential campaigns have used these funds to pay for routine legal matters such as ballot access disputes and compliance requirements, Trump was the first president in the modern campaign finance era to use such funds on the costs of responding to a criminal probe, said election law experts.